Tonight & tomorrow, from 09:00pm to 11:00pm, Ki. 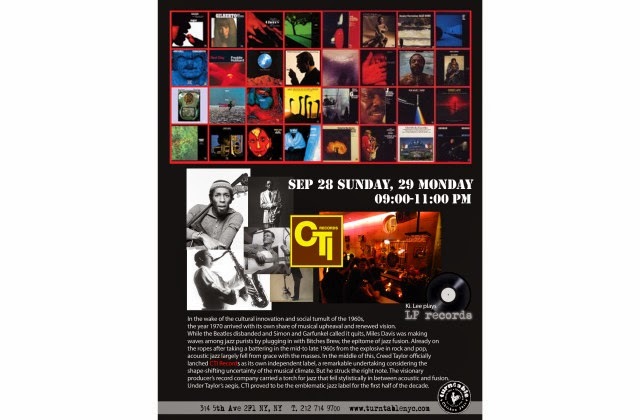 Lee will play gems from CTI Record’s catalog at Turntable in NYC (314 5th Ave). Come and enjoy music+food! Creed Taylor and Arnaldo DeSouteiro will be there. And the infectious grooves, killer backeats and much-sampled drumbreaks will be in the pocket and all around the place. Cheers! What can I say? Don't miss it! COME AND CELEBRATE THE FALL FRENZY WITH AN AMAZING AUTUMN SHOWCASE! 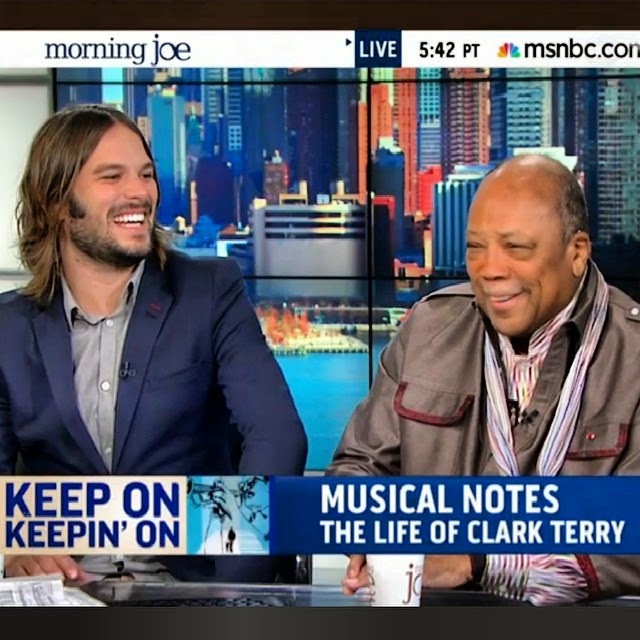 Quincy Jones and Al Hicks on "Morning Joe" yesterday to promote their film about Clark Terry, "Keep On Keepin' On." Please encourage everyone you know in Los Angeles this weekend to get out and see the film. It's playing at The Landmark on Pico. Now it's official. After serious rumors in the last days, Diana Krall just cancelled the release of her new CD, the David Foster-produced "Wallflower" (Verve) as well as the fall tour dates due to illness (ongoing complications brought on by a case of pneumonia). “Wallflower” was due for release here in the U.S. on October 21, and the North American leg of her “Wallflower World Tour” was to kick off in Phoenix, AZ on November 7th. “Wallflower” is now set for release on February 3, 2015. This is the announcement made today by Diana: "I'm deeply saddened that I will have to postpone the release of my new album Wallflower and the Wallflower U.S Fall Tour until next year. I've been battling a severe case of pneumonia and am under doctor's orders to rest for the next few months in order to regain my strength and good health." Diana’s condition has become much more chronic than first anticipated, and she is unable to travel or engage in any promotional or touring activities for at least another 6 weeks to 2 months. Mrs. Krall is extremely disappointed to have to announce this today, but also realizes that, upon advice of her doctors, this is the only course of action available to her at this time to ensure a full recovery. "Performing is both a privilege and a joy for me. When I go out on stage I want to be able to give it everything. Taking this time to rest and recuperate will allow me to do that. It is frustrating to be so close to the record release and have to delay but I am very proud of this record and want to be able to give you all my very best when we finally present this music to you. Thank you so much for your understanding," Krall says. New dates for the “Wallflower World Tour” will be announced in the coming weeks. 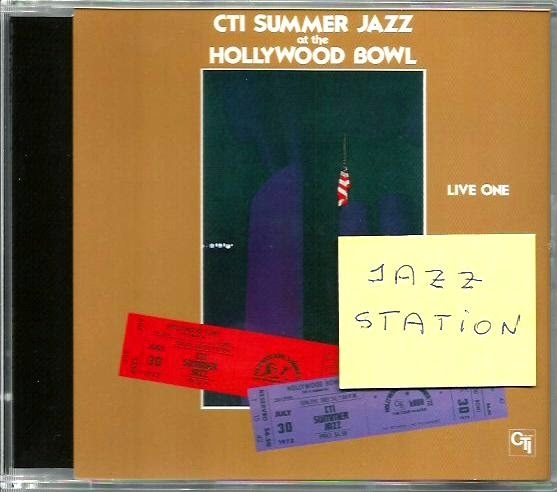 CD Reissue of the Month - "CTI Summer Jazz At The Hollywood Bowl - Live One"
Recorded live on July 30, 1972 by Wally Heider, mixed (by David Palmer @ Electric Lady Studios) and originally released in 1977, it's now reissued as a bonus CD of the "CTI Supreme Collection" series. 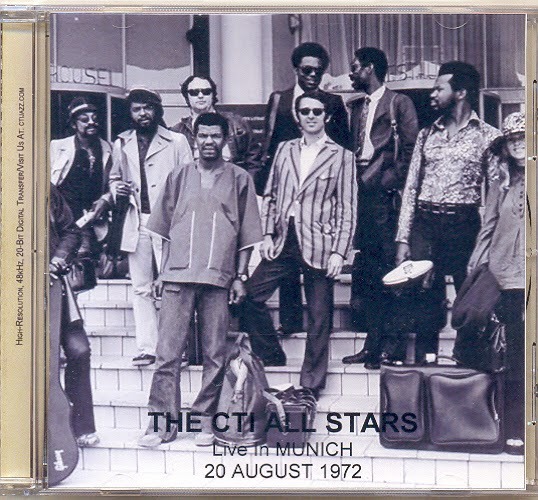 For the very first time, this historical concert is being released on three separate CDs (Live One, Live Two and Live Three), like they were originally issued on vinyl in July 1977. 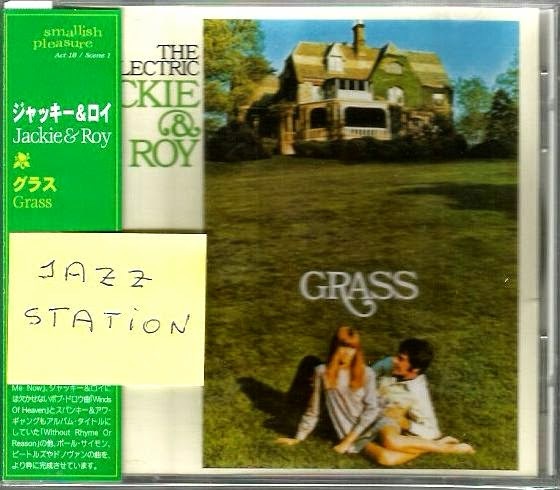 Two previous reissues came out in Japan (in 1991 and 2003) reuniting the three volumes on 2-CD sets. 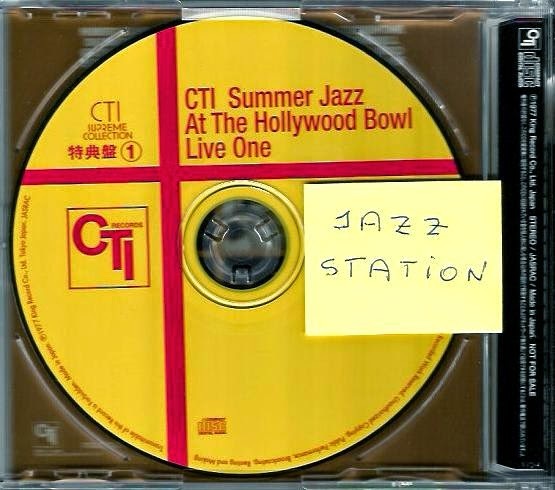 This "Live One" includes four extended tracks: Hank Crawford's blues "Grits Bowl," an extraordinary performance of Grover Washington, Jr. in a Marvin Gaye medley consisting of "Inner City Blues" and "Mercy Mercy Me," George Benson's astonishing take on The Mamas & The Papas' "California Dreaming," and Freddie Hubbard at the height of his powers on his own jazz standard "First Light." Vinyl Reissue of the Month - "Santana: Borboletta"
My personal favorite Santana album ever! And one of the best albums recorded by the band, along with "Abraxas," "Welcome!" and "Lotus." With a big influence of Airto Moreira & Flora Purim, the fabulous Brazilian couple with whom Carlos Santana was jamming a lot at that time [Flora had performed on Santana's previous album, "Welcome!" 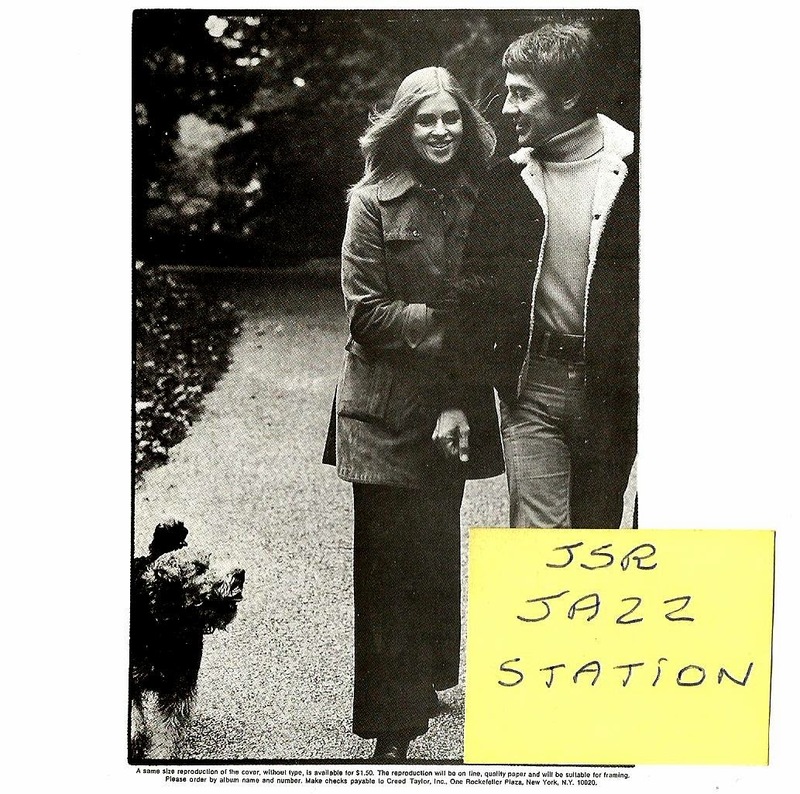 from 1973, and the guitarist returned the favour not only recording on her "Stories To Tell" LP in 1974 but also playing in a concert at the Terminal Island prison when she was arrested that same year], this project starts ("Spring Manifestations") and concludes ("Borboletta") with Brazilian percussive sounds, reaching its climax on an extraordinary version of Dorival Caymmi's "Promise Of A Fisherman," with Airto on drums and Flora on vocals. That track also includes the best bongos solo -- performed by Armando Peraza -- I've ever heard on a jazz-rock session. Who's on the bass? Stanley Clarke. Need I say more? Actually, yes. 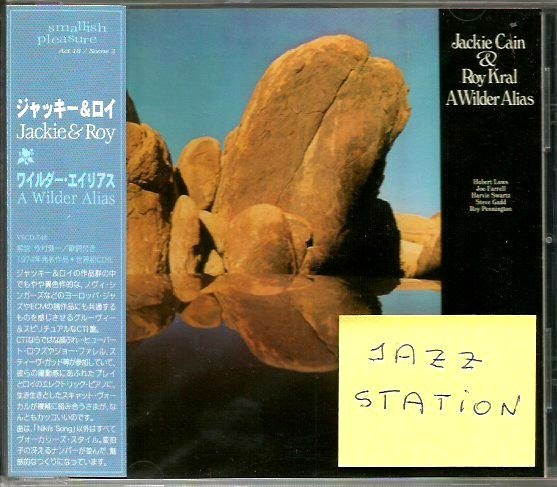 "Promise Of A Fisherman" is the third part of a jazz-rock suite that is played without interruption, ending with Airto alone improvising (on vocals & percussion) some variations on Caymmi's haunting theme; that improvisation was titled "Borboletta." DownBeat magazine gave the album 5 stars, and it's not difficult to find out why. 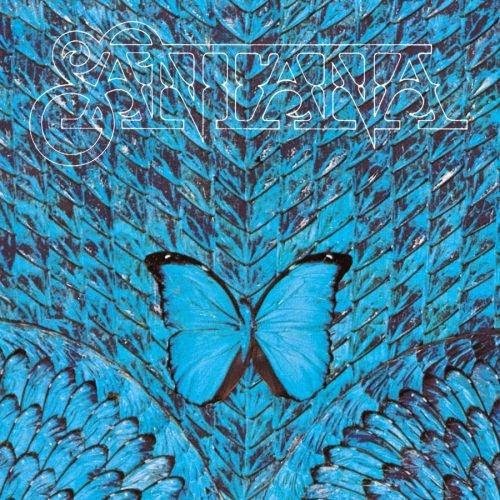 Taking a look at the blue butterfly on the LP cover, it wasn’t surprising that purist Santana fans scented that the music in this particular garden would be more gentle and cultivated than the previous hard-latin rock sound. But one thing after another: in attune with semi natural sounds, the 'Canto De Los Flores' swings along to dabbed figures on the Rhodes piano and waves of multi-cultural drumming. The drama continues with "Life Is Anew" – a powerfully arranged ballad, followed by a highly emotional rock number ("Give And Take"). This takes us to where Santana feels most at home – "Promise Of A Fisherman" with its wonderfully expansive guitar sound. By now, at the latest, the listener joins the sensitive outdoorsman on his chase after the butterfly named "Boborletta" with a wealth of percussive sounds. Don’t hesitate to capture this rare specimen for your collection! "Speed-the-Plow" opens tomorrow night @ Playhouse Theatre in London. See u there! My best wishes to Lindsay Lohan. 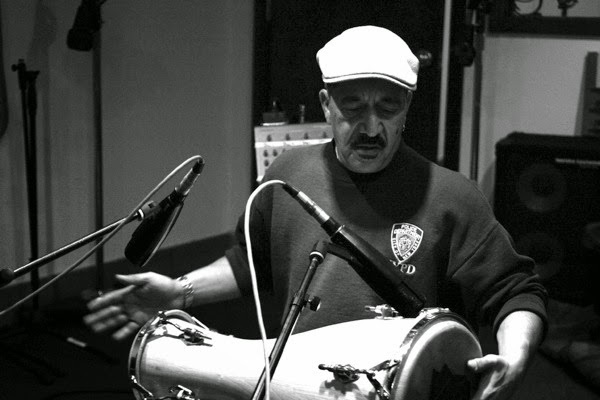 Besides his great solo albums, the celebrated percussionist, composer, arranger, conga player and singer Milton Cordona performed in over 500 sessions by such artists as Dave Valentin, Willie Colon, Celia Cruz, Paul Simon, Ruben Blades, Jack Bruce, Kip Hanrahan, Flora Purim & Airto Moreira (on the Grammy-nominated "Humble People"), Ryuichi Sakamoto, Eddie Palmieri, Steve Turre, Michael Brecker, Marlena Shaw, David Sanchez, Papo Vasquez, Uri Caine, Jerry Gonzalez, Billy Bang, Bill O'Connell (the best-selling "Lost Voices" for CTI) and in many soundtracks. Rest in Peace. 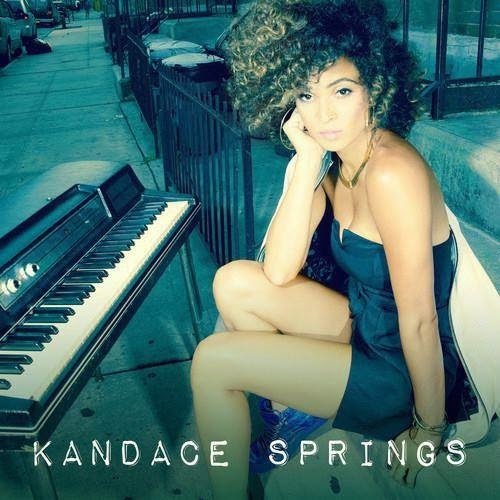 Don't sleep on Kandace Springs! Her self-titled debut EP for Blue Note Records is out now! Blue Note Records has signed Kandace Springs and will release her self-titled debut EP on September 30 together with SRP Music Group. Springs will perform the EP’s first single, “Love Got In The Way,” when she makes her national television debut on “Late Show with David Letterman” on Friday, October 3. The official video for “Love Got In The Way” premiered on Afropunk.com and can be viewed HERE. Born and raised in Nashville, Kandace was only 17 when she captured the attention of SRP Music Group’s Evan Rogers and Carl Sturken with a demo she had recorded. Springs moved to New York City several years later to begin working on new songs with Rogers and Sturken, who have written hits for such artists as Shakira, Christina Aguilera and Kelly Clarkson, and are best known for discovering a teenage Rihanna. 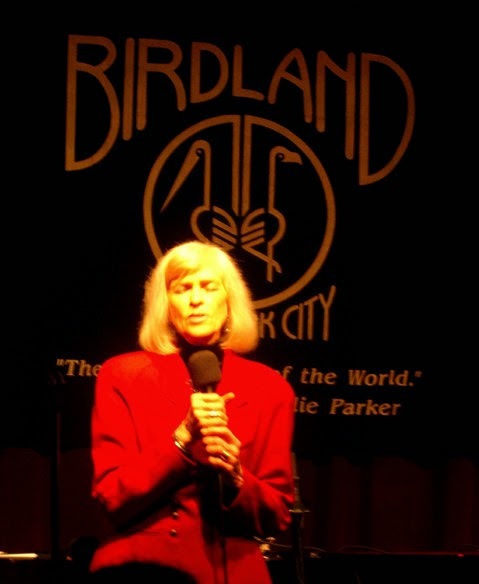 A&R executive Eli Wolf brought Springs to Blue Note Records, where she auditioned for label president Don Was with a performance of “I Can’t Make You Love Me” — a bold move, since Was produced Bonnie Raitt’s original recording. Was signed Kandace on the spot. The pre-order for the Kandace Springs EP, which offers a first taste of her forthcoming full-length album, launched today on iTunes. See below for track listing. 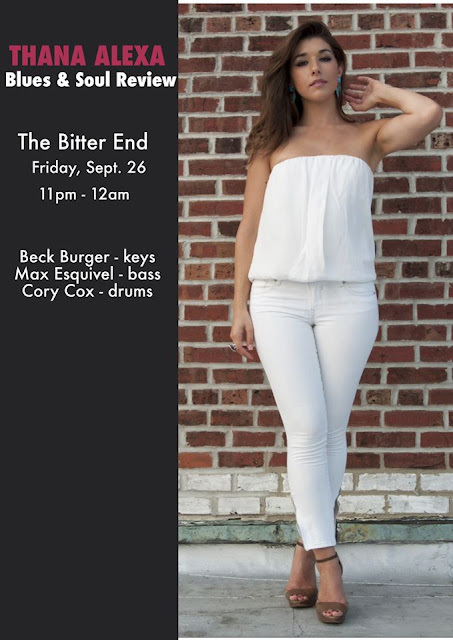 She will perform at an exclusive EP release show at The Box in New York City on September 30, with a limited number of tickets available to Kandace’s fans to be given out on her Facebook page. In October, Springs will open for Chance The Rapper on two East Coast dates of the fall 2014 Verge Campus tour. See below for itinerary. Drawing on R&B, hip-hop, jazz, pop, and Latin music, Springs’ four-song EP showcases her knack for merging old-school values with fresh and innovative styles. Kandace co-wrote the first single, “Love Got In The Way,” and the sultry “Forbidden Fruit,” with Sturken and Rogers, who produced the tracks along with Eli Wolf. “West Coast” and “Meet Me In The Sky” were produced by Philadelphia and Los Angeles-based team Pop & Oak (Nicki Minaj, Drake, Alicia Keys), who co-wrote these songs with Springs. Hailed as an Essence “New & Next” artist, Springs talks about her music and performs “Forbidden Fruit,” accompanying herself on her Fender Rhodes keyboard, in this exclusive clip. The Wall Street Journal hailed Springs as a “suave songstress” and Entertainment Weekly praised “West Coast” as “buoyant neosoul that combines a rollicking horn arrangement and a bumping rap beat.” “The 23-year-old manages to carry out her mission statement of bridging classic soul with hip-hop by syncing her nostalgic vocals with record scratches and underground beats,” said RyanSeacrest.com while GlobalGrind.com noted in a recent live review, “Kandace Springs set a calming environment with her soulful voice… audience members couldn’t get enough and begged her for another song.” Early fans have also included Prince, who invited Springs to come perform at his legendary Paisley Park Studio in Minneapolis after seeing one of her YouTube videos. LA Kittens is back, in one of the most exclusive addresses in Los Angeles. Join us in a wonderful penthouse suite for a lock & key party. The rules are very simple, every man gets a lock, every woman gets a key. The party will feature Killing Kittens' famous mix of seduction, with three dedicated playrooms, live DJ and high end drinks. Expect, wall to ceiling windows with panoramic views of LA, open bar for members or champagne bar serving Veuve Clicquot, valet and cloakroom. Your hostesses are looking forward to welcoming you. The girls make the rules and only the girls can break the rules. It's very simple really. Girls get keys and boys get locks. See you this Saturday! 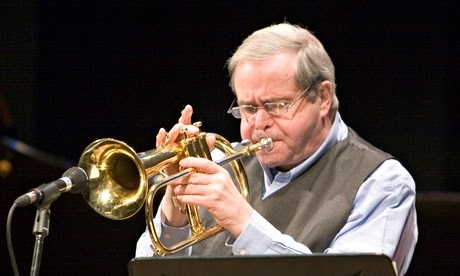 One of the best flugelhorn players in the jazz history -- alongside Art Farmer, Clark Terry, Tom Harrell and Chuck Mangione (yes, bastards purists, Mr. Mangione deserves to be on this list) -- Kenny Wheeler just passed away today, September 18, 2014, at age 84. A perennial winner in the Jazz Station Polls, he was born Kenneth Vincent John Wheeler on January 14, 1930 in Toronto, Ontario, Canada. 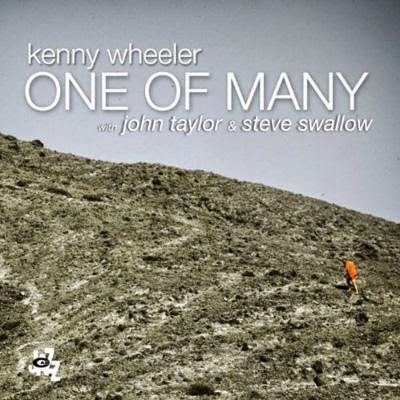 Wheeler leaves a brilliant discography. 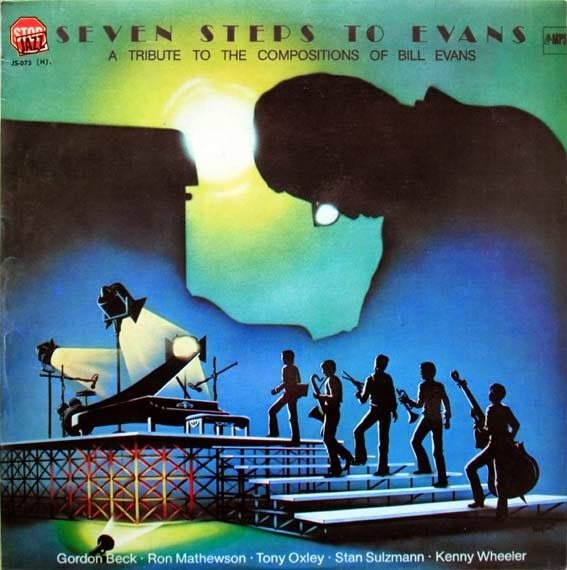 Two essential items are the LP "Seven Steps To Evans" (MPS, 1980), with an all-star European band -- Gordon Beck, Tony Oxley, Stan Sulzmann, Ron Mathewson -- and its companion DVD "A Tribute To Bill Evans," a concert based on the album and with the same personnel, except for Dieter Ilg replacing Matthewson. Actually, that concert was originally released on LaserDisc in Japan back in 1991, and reissued on DVD all over the world in 1999. Born in Canada in 1930, the trumpeter and composer joined the London jazz scene after moving to Britain in 1952. 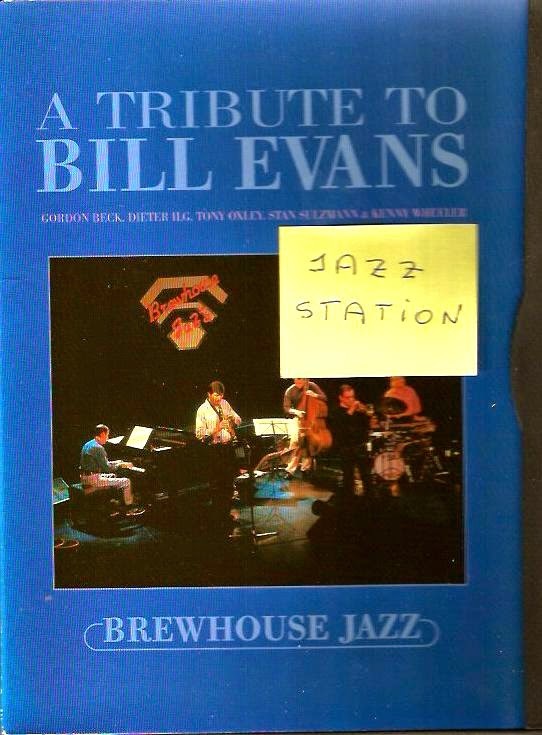 He played in groups alongside the likes of Ronnie Scott, John Dankworth and Tubby Hayes as well becoming part of the free-improvisation movement. 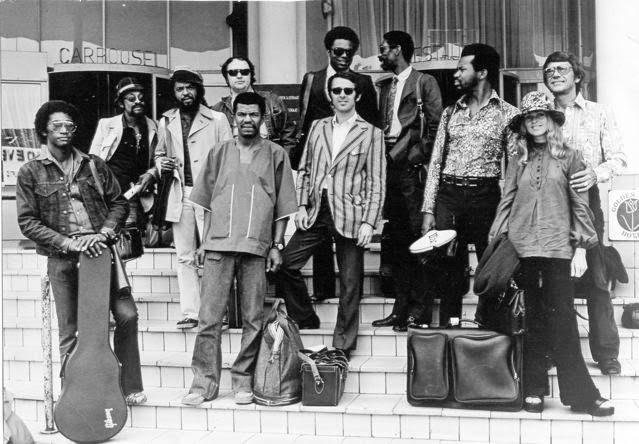 He gained critical attention in the 1970s with a series of recordings for small ensembles on albums including Gnu High and Deer Wan. 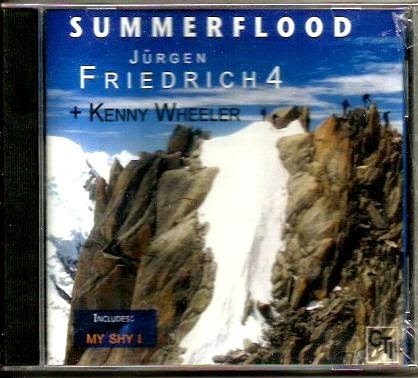 However, for many fans, Wheeler's artistic peak was in the 1990s with seminal albums including Music for Large and Small Ensemble and Kayak. 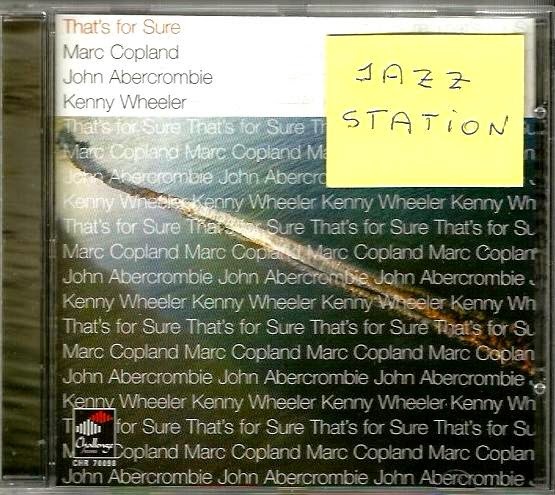 In 1997 he again won critical acclaim for Angel Song, a quartet album featuring Bill Frisell, Dave Holland and Lee Konitz. In later life, he was the founding patron of the Junior Jazz programme at the Royal Academy of Music and was the subject of a year-long exhibition by the Academy Museum. He celebrated his 80th birthday with a concert in 2010. Announcing Wheeler's death on Thursday, Nick Smart, head of jazz at the Royal Academy of Music said: "It is hard to express just how large a contribution he made to the music in this country and around the world, and how deeply he touched the musicians that had the honour of working alongside him. "With Kenny's passing we say goodbye to one of the great musical innovators of contemporary jazz. His harmonic palette and singularly recognisable sound will live on in the memory of all who heard him and in the extraordinary legacy of recordings and compositions he leaves behind, inspiring generations to come." He added: "Famously self-deprecating, Kenny was always modest and humble about his own musical achievements. But the truth is, he was a genius walking amongst us, and it was the most tremendous privilege to have been able to consider him a dear colleague and friend." 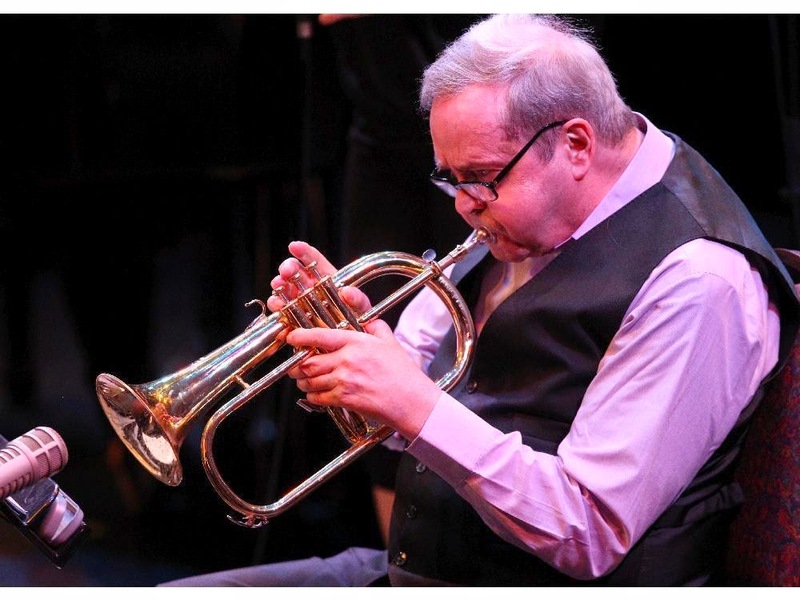 Jazzwise magazine tweeted: "RIP Kenny Wheeler who made an immeasurable contribution to jazz." 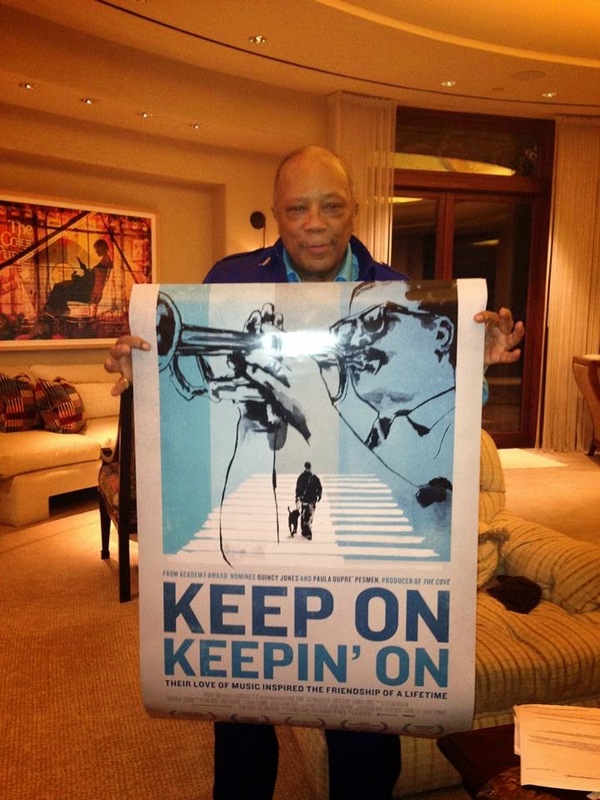 The haunting Quincy Jones-produced movie about trumpeter Clark Terry, "Keep On Keepin' On" is opening in ‪Los Angeles‬ this Friday, Sept 19th, @ the The Landmark in West ‪LA and at the Arclight Hollywood. 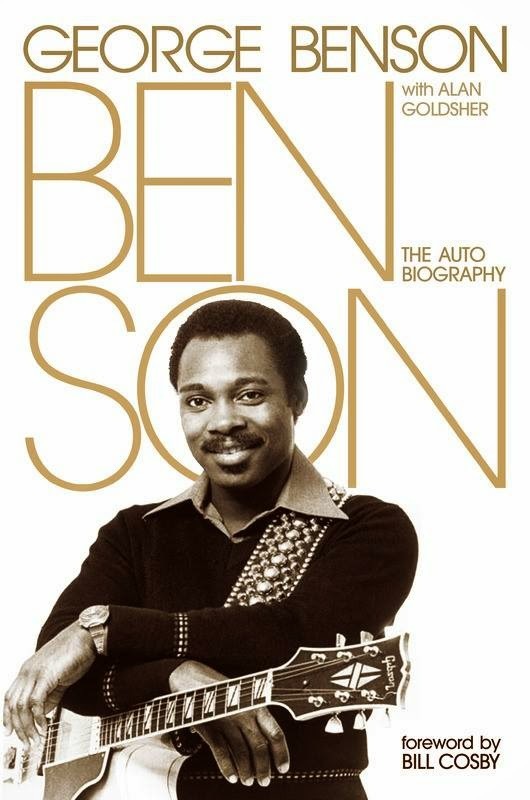 If you're in the Los Angeles area, forget anything else this next Sunday afternon, Sept 21, and please come out to Barnes & Noble (189 The Grove Drive, LA) at 2pm to meet Benson and get your copy of "George Benson: The Autobiography" (co-written with Alan Goldsher, foreword by Bill Cosby) signed by the man himself. Lindsay Lohan enjoyed her chat with The Telegraph. What are you doing on September 19th? Trumpet and flugelhorn master Tom Harrell will be playing @ Jazz Kitchen in Indianapolis with Ugonna Okegwo, Luis Perdomo and Johnathan Blake. Bonus: There is going to be a free master class on 9/20! 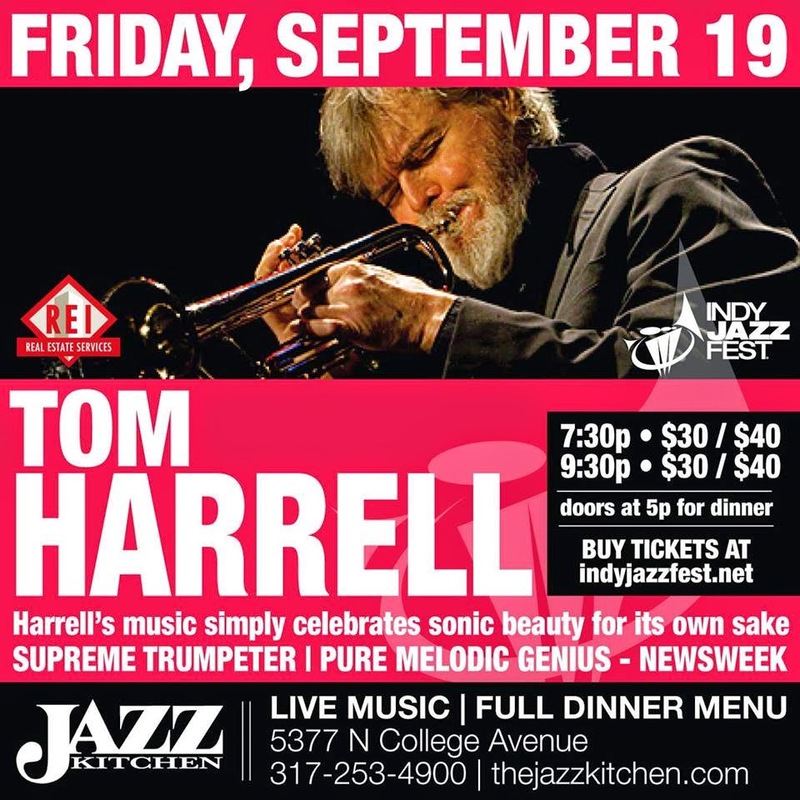 Praised by Newsweek for his pure melodic genius, Tom Harrell is widely recognized as one of the most creative and dynamic jazz instrumentalists and composers of our time. While Harrell is a master of the jazz idiom, he constantly seeks new challenges and influences. 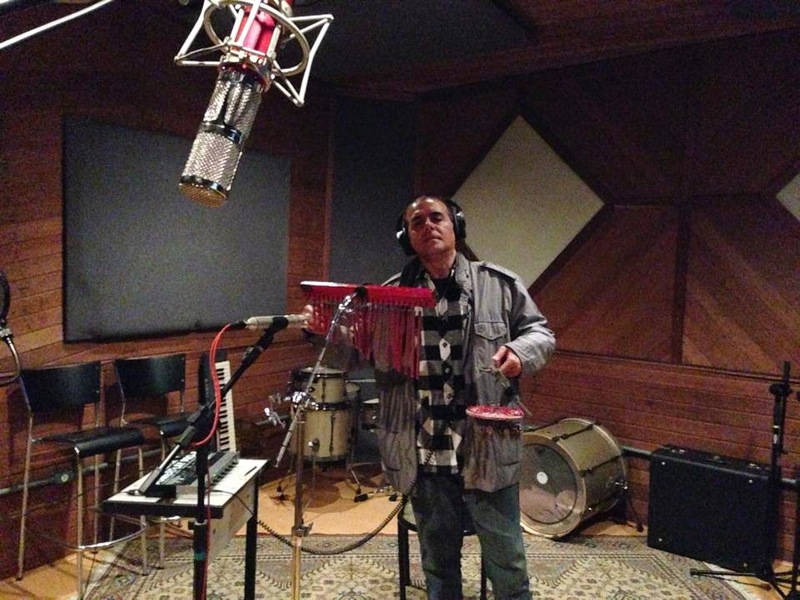 Even with a discography of over 260 recordings and a career that spans more than four decades, Harrell has managed to stay fresh and current as he continues to actively record and tour around the world. He is a frequent winner in Down Beat and Jazz Times magazines’ Critics and Readers Polls and a Grammy nominee. Harrell is also a Trumpeter of the Year nominee for the 2012 Jazz Journalists Association Awards. His warm, burnished sound on the trumpet and the flugelhorn, and the unparalleled harmonic and rhythmic sophistication in his playing and writing, have earned Harrell his place as a jazz icon to aspiring musicians and devoted fans alike. His music is at once intelligent, soulful, fresh and accessible. In contrast to Harrell’s tenure as an RCA/BMG recording artist (1996–2003) when much of his focus was on projects involving large ensembles, Harrell’s last five albums were made with the current members of his quintet: Wayne Escoffery on tenor sax, Danny Grissett on piano and Fender Rhodes, Ugonna Okegwo on bass and Johnathan Blake on drums. Each of these albums – NUMBER FIVE (2012), THE TIME OF THE SUN (2011), ROMAN NIGHTS (2010), PRANA DANCE (2009) and LIGHT ON (2007) – has received wide critical acclaim and won SESAC awards five years in a row for topping the US radio charts. The writing on these five releases is no less of an achievement than his work for the symphony or the big band. The trumpeter-composer deftly weaves complex harmonies together with daring rhythmic concepts and unforgettable melodies while utilizing the available colors to full effect. In the last two years, Harrell has begun to develop new projects, often involving some or all of the quintet members. In June of 2011 he premiered his own arrangements of works by Debussy and Ravel with the nine-piece Tom Harrell Chamber Ensemble. Since then the ensemble was featured on PBS’ Soundtracks and toured in the US. The TRIP quartet is a piano-less group that was formed last year after Harrell was commissioned to write new music by Dave Douglas for the Festival of New Trumpet Music. The group comprises tenor saxophonist Mark Turner, Harrell’s long-time bassist Ugonna Okegwo and drummer Adam Cruz, and will reconvene during one of Harrell’s two-week run at the Village Vanguard in October. COLORS OF A DREAM, Harrell’s latest creation, will also perform at the Village Vanguard in late March; Harrell takes the piano-less concept one step further with this sextet featuring alto saxophonist Jaleel Shaw, bassist-vocalist Esperanza Spalding and quintet members Wayne Escoffery, Ugonna Okegwo and Johnthan Bkake. Produced over 380 albums and sessions featuring: Luiz Bonfa, João Gilberto, Dom Um Romão, Ithamara Koorax, Thiago de Mello, Dexter Payne, João Donato, Palmyra & Levita, Mario Castro-Neves, Jorge Pescara, Paula Faour, Fabio Fonseca, Claudio Roditi, Hermeto Pascoal, Anna Ly, Carlos Barbosa-Lima, Pascoal Meirelles, Yana Purim, Pingarilho, Nelson Angelo, Marcelo Salazar, Ron Carter, Antonio Carlos Jobim, Steve Swallow, Herbie Hancock, Hugo Fattoruso, Larry Coryell, Sadao Watanabe, Jurgen Friedrich, Eloir de Moraes, Gazzara, Deodato, Jadir de Castro, Azymuth, Marcio Montarroyos, Sivuca, Laudir de Oliveira, Marcos Valle, Jay Berliner, George Young, David Matthews, Lew Soloff, Rodrigo Lima, Don Sebesky, Alphonso Johnson, Gene Bertoncini, John McLaughlin, Claus Ogerman, Raul de Souza, Gonzalo Rubalcaba and many others. 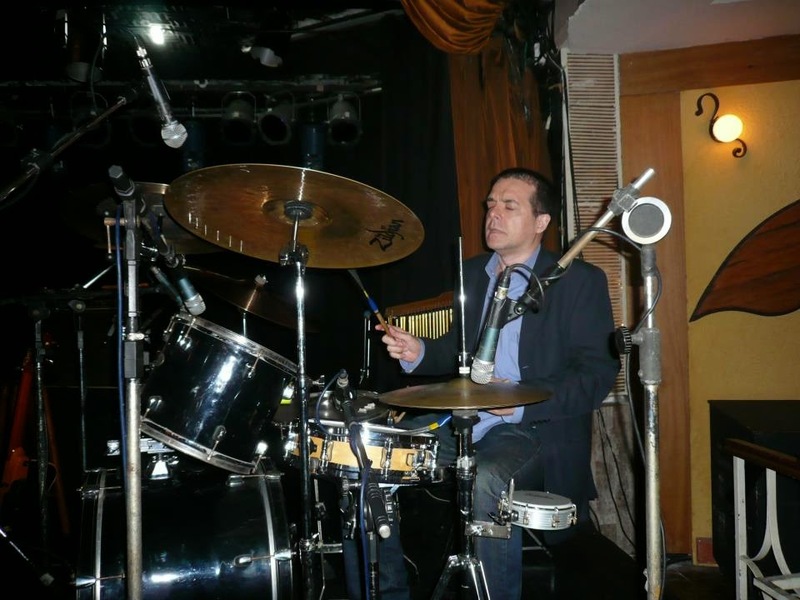 Também foi membro honorário e primeiro membro brasileiro da Associação Internacional de Educadores de Jazz (IAJE – International Association of Jazz Educators) durante 12 anos, até sua extinção em 2008, tendo realizado palestras e "panel sessions" nas convenções anuais realizadas nos EUA. 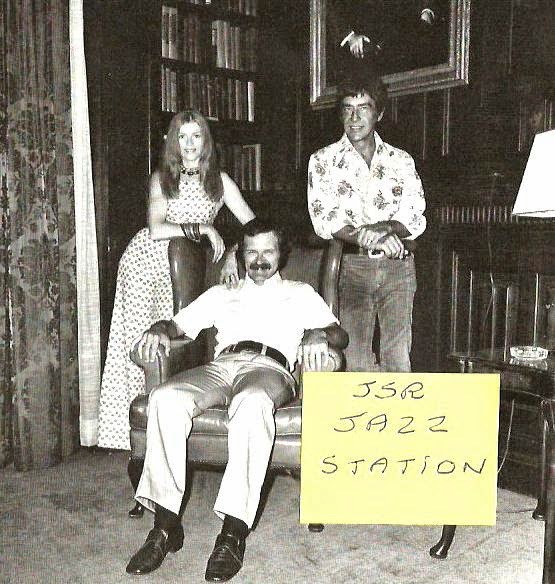 Fundador e Presidente da gravadora JSR (Jazz Station Records), sediada em Los Angeles – EUA desde 2001, uma divisão da Jazz Station Marketing & Consulting. Dirige também a LaCalifUSA Pictures, empresa de cinema que produz conteúdo e trilhas sonoras (composição, produção, seleção) para filmes e séries de TV. LA Kittens is back, in one of the most exclusive addresses in Los Angeles. The time is upon us. Next Saturday, Sept 20, join us in one of LA's most exclusive addresses (a penthouse suite) for the first "Lock & Key" party. The rules are very simple: every man gets a lock, every woman gets a key. The party will feature our famous mix of seduction, with three dedicated playrooms, live DJ and high end drinks. Remember to register with us then you can buy your tickets. 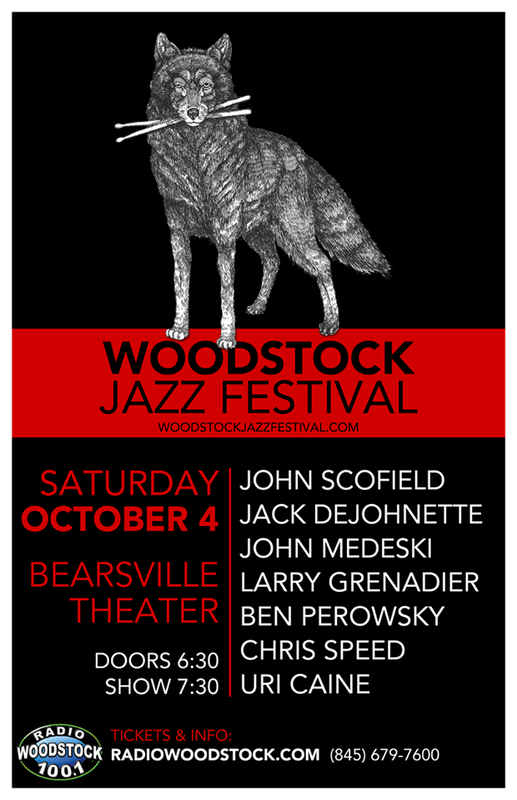 Jack DeJohnette and John Scofield at the Woodstock Jazz Festival, October 4th! Join us at the Woodstock Jazz Festival! Line up @ the Bearsville Theater on October 4: John Scofield, Jack DeJohnette, John Medeski, Larry Grenadier, Ben Perowsky, Chris Speed and Uri Caine. 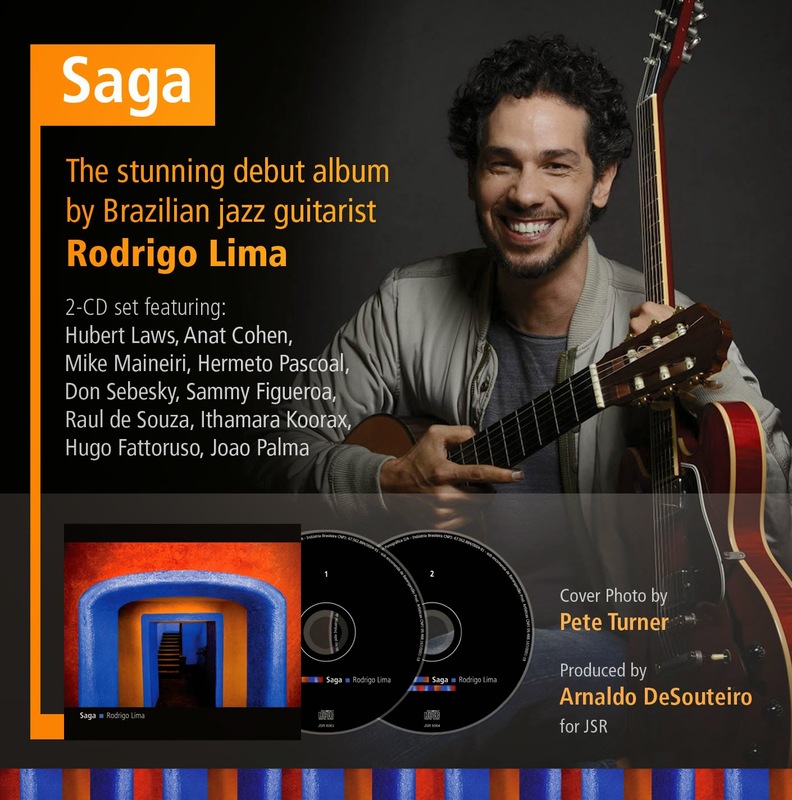 2-CD set featuring Hubert Laws, Anat Cohen, Mike Mainieri, Don Sebesky, Hermeto Pascoal, Sammy Figueroa, Raul de Souza, Ithamara Koorax, Hugo Fattoruso, Joao Palma and many others. 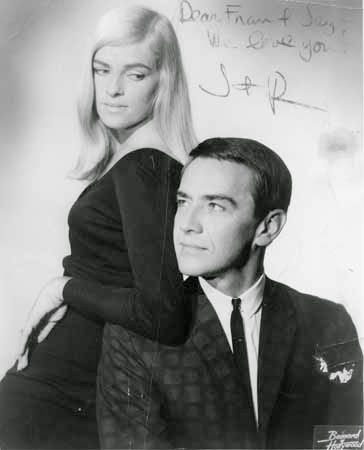 Jackie Cain Kral (born May 22, 1928 in Milwaukee, Wisconsin), from the Jackie & Roy duo, passed away peacefully yesterday (September 15, 2014) in her home in Montclair, New Jersey, with her daughter, Dana, by her side. The wonderful singer gifted with a pristine sound and a golden voice, had been ill for a number of years as a result of a number of strokes. 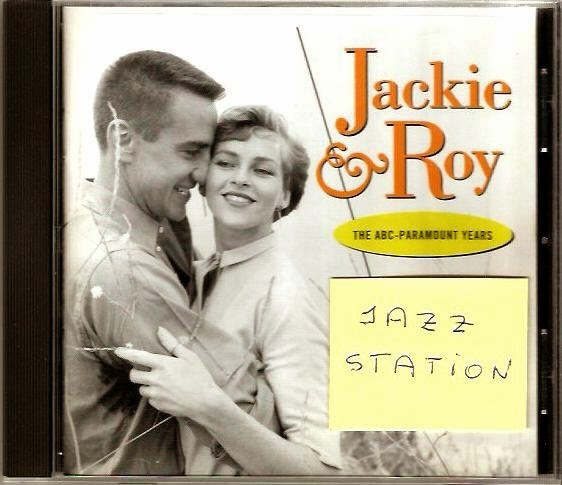 Now that Jackie is reunited with Roy, a quote from one of their signature songs seems appropriate... "In a mountain greenery, where God paints the scenery, just two crazy people together...we could find no cleaner retreat from life's machinery than our Mountain Greenery home..."
The epitome of class and musical sophistication, Jackie & Roy's "Time & Love" (CTI, 1972) is one of my desert island discs (and "Lazy Afternoon" is one of my desert island tracks.) It's also one of Don Sebesky's favorites. I love "Bogie," "A Wilder Alias," "Grass," "Lovesick," "Changes" and many others too. 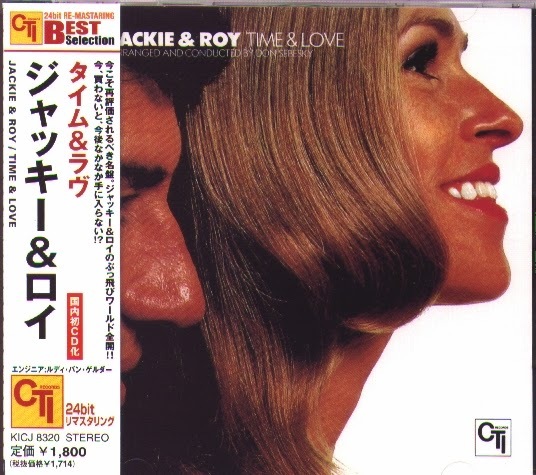 In one of my productions for Verve, "A Trip To Brazil Vol.3" (2002), I was able to include Jackie & Roy's version of "Corcovado" (Quiet Nights), from "Lovesick," one of the several albums that came out as a result of their prolific association with visionary producer Creed Taylor since the ABC-Paramount days in the '50s. 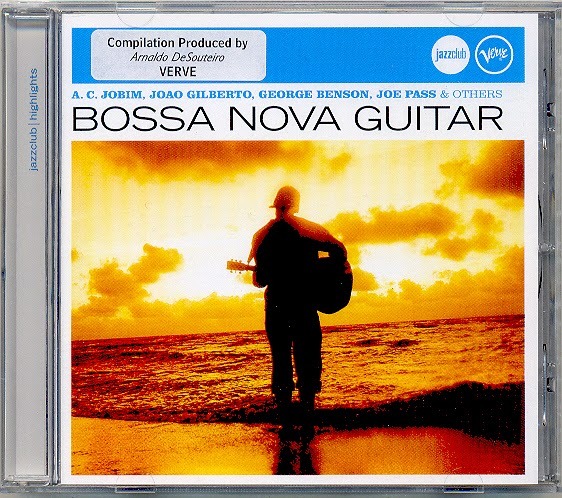 In another CD compilation, "Bossa Nova Guitar" (Verve, 2009), I've included the George Benson recording of "Jackie, All," a song composed in her honor by Eumir Deodato, and also covered by Walter Wanderley. More reflections to follow. Heaven just got a lot hipper.